We waited for the sun to hit the tent but again no luck. It was overcast and frosty this morning and the silence all around was striking. The tent had a light sprinkling of snow. We slept very well despite the cold and the elevation. The clouds swirled around with frequent sunny breaks. Hiking today was very pleasant. The air was crispy and all around was evidence of a landscape slowly shedding it’s winter coat. We had light flurries of snow from time to time. Today we had a little bit of everything overcast sky, sunny breaks and light snow falling. 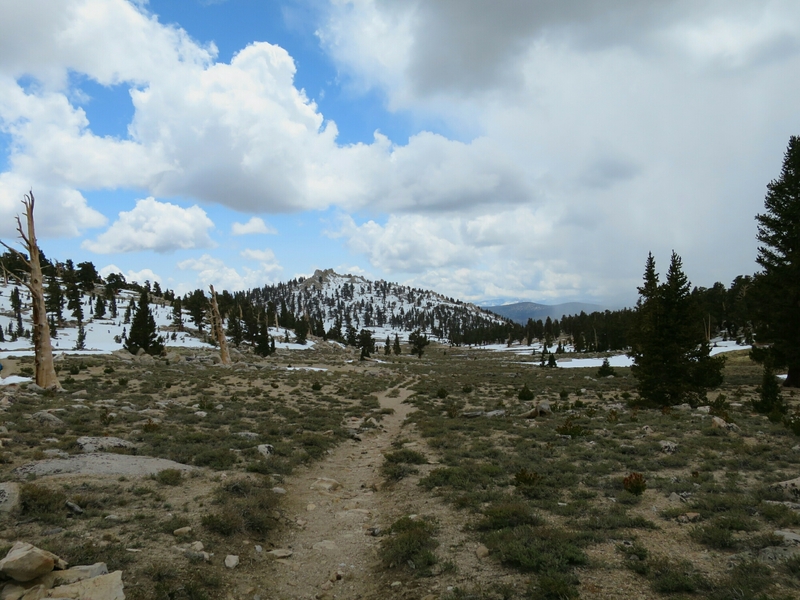 The trail was covered in crunchy snow in patches. Walking on snow and significant elevation gain made for slower progress on some sections. 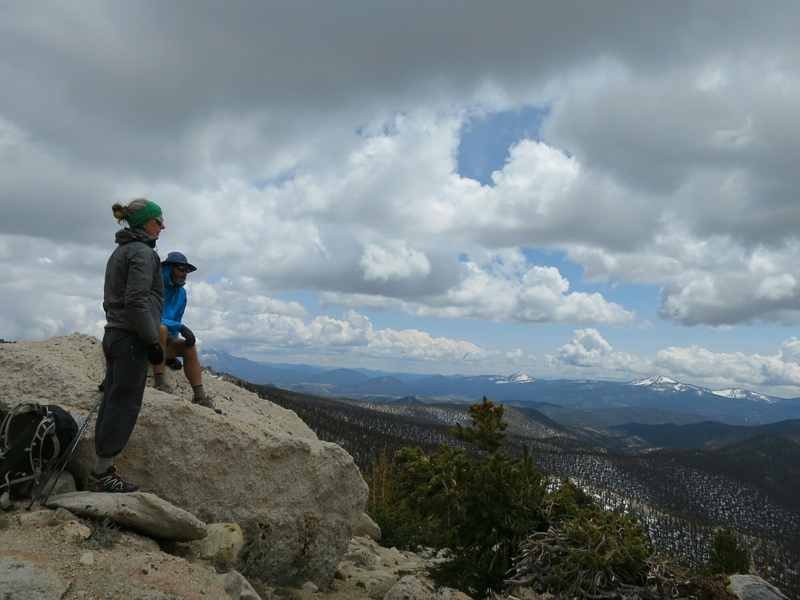 We had fantastic views from today’s highpoint of 11,500 feet out towards Whitney Meadow fringed by snowy peaks. 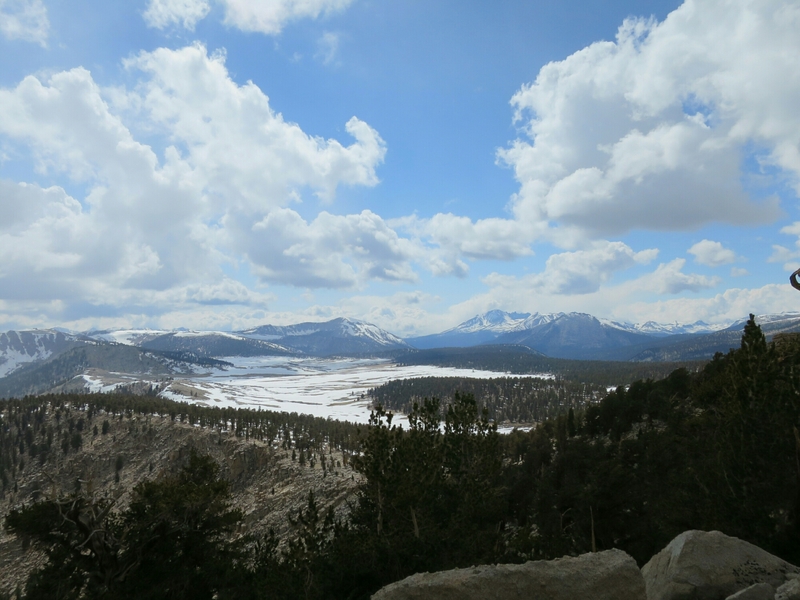 We wound our way under a huge mountain range of smooth rock and bare of snow but fringed by a huge cornice of ice. It looked very daunting and intimidating with it’s sheer walls of bare rock. We left this behind exiting near frozen Chicken Spring Lake. 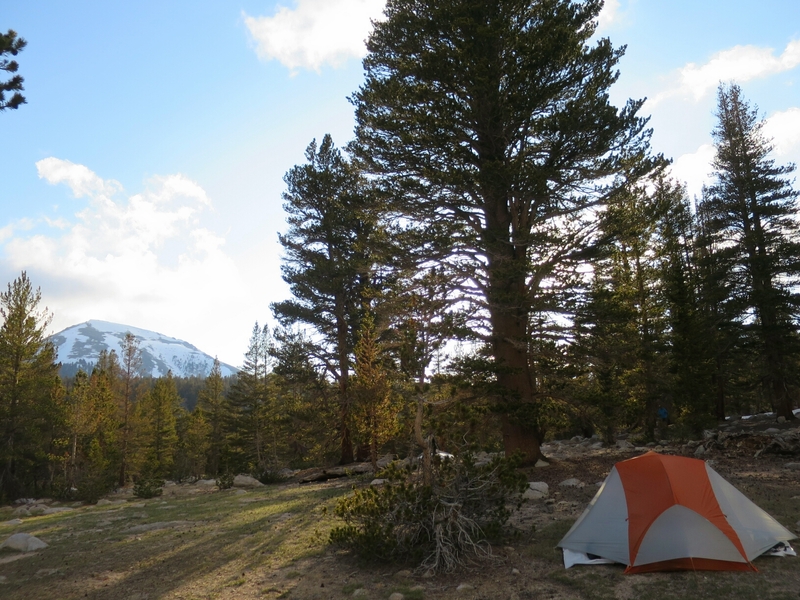 My thoughts have been preoccupied by the upcoming crossing of the highest point on the PCT at Forester Pass which stands at 13,100 feet at Mile 779. 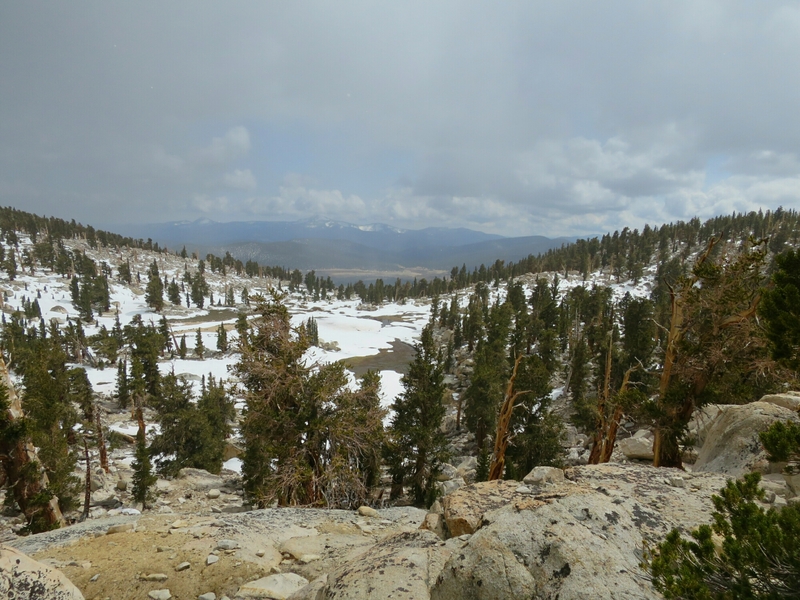 It is much feared for its steep approach and often frozen shute which needs to be crossed near the summit. I am not afraid of the physicality of the challenge. I fear that in order to successfully go over the pass in current conditions of deep snow and ice will exceed our skill and equipment level. It does not help that hikers have been talking about it for the past 2 weeks. And so many have chosen to skip the high Sierra section alltogether. Hammer is calm and resolute that all will be well. 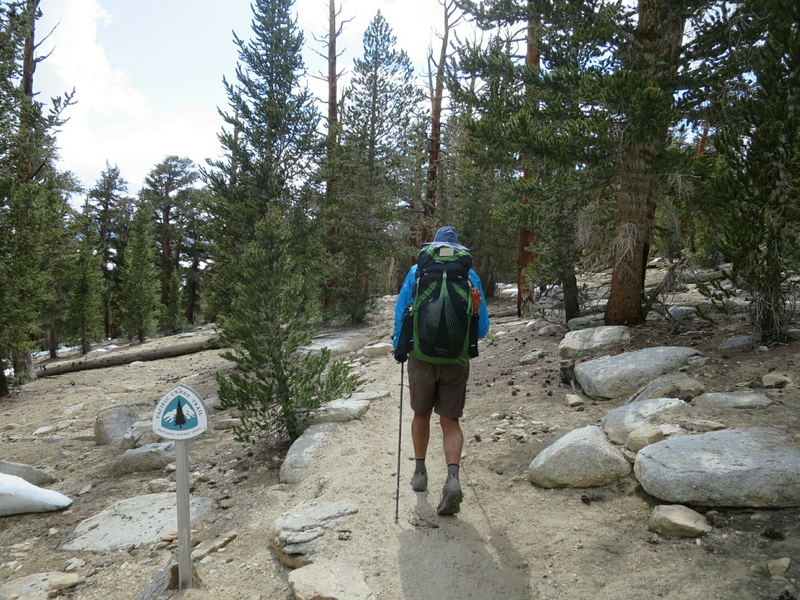 And slowly I am feeling less nervous about crossing of Forester Pass. 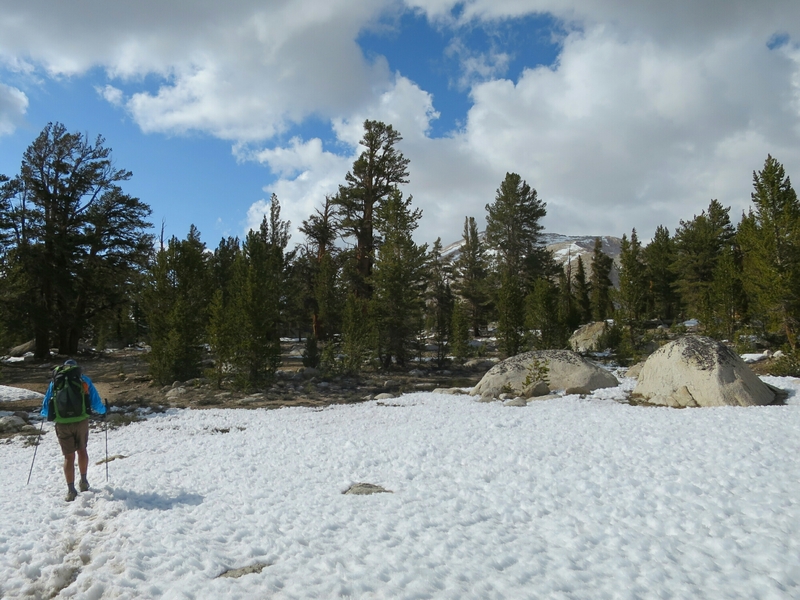 We stopped for the day at a beautiful meadow with a creek flowing nearby. You can tell, she is having a good time.